‘Holy Mouse Ears’: the miniature hostas in the mouse ears series are my favorites. 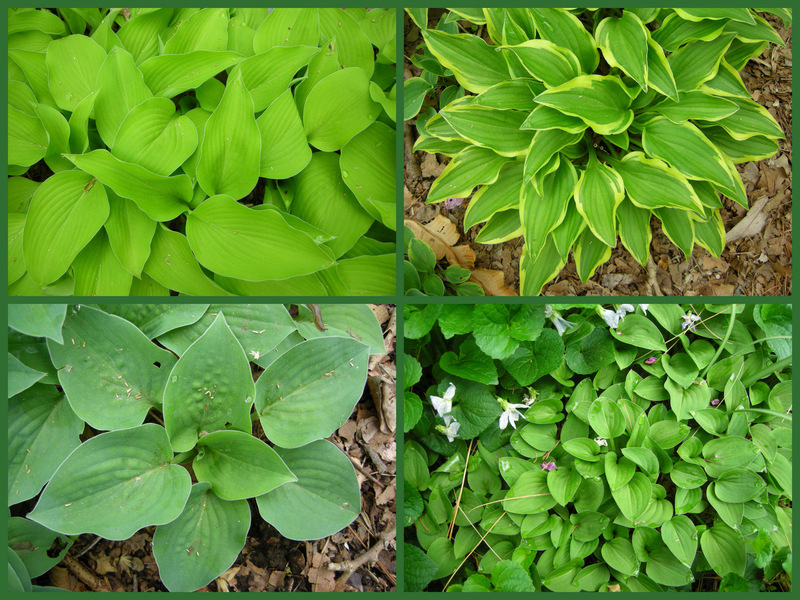 I am in stage four of my relationship with hostas. I have noticed that many of my customers go through these stages too. Stage one was when I was a new gardener. 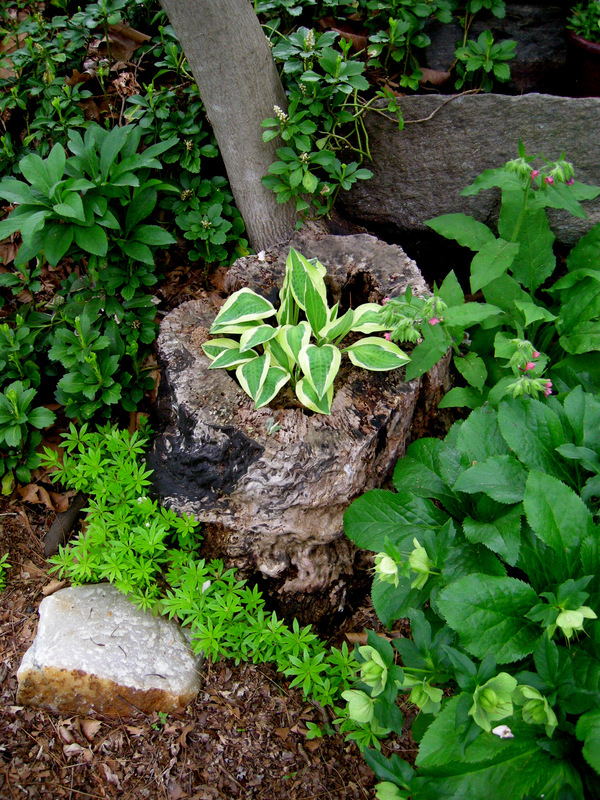 I discovered hostas and loved them because they are easy to grow and to divide to make more. I had the green one, the green and white one, the blue one, the variegated one, and the gold one. If you know hostas, you can probably guess fairly easily which varieties I had. I still love these hostas and have large patches of them in my gardens. ‘Lakeside Cupcake’ was a new small hosta for me in 2010 and is a strong grower. During stage two, I became more “sophisticated”. 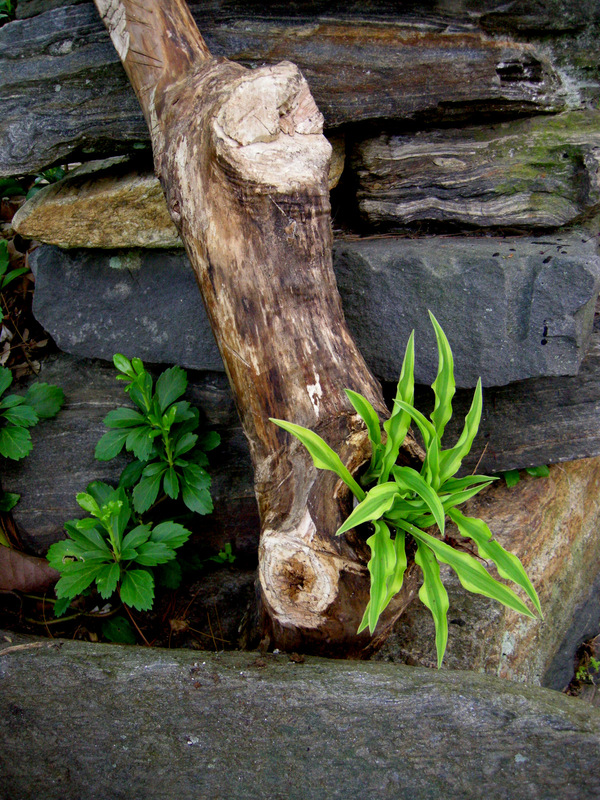 Hostas were too easy to grow, too ordinary, and multiplied too quickly for my control-oriented gardening style. Besides I wanted flowers, flowers, and more flowers, and hostas just didn’t fit the bill. I didn’t like them anymore. How could people collect such a boring and ordinary plant? “Carolyn’s Gold”: I selected this miniature hosta from a chance seedling that appeared in my gardens. It is the brightest gold I have ever seen. 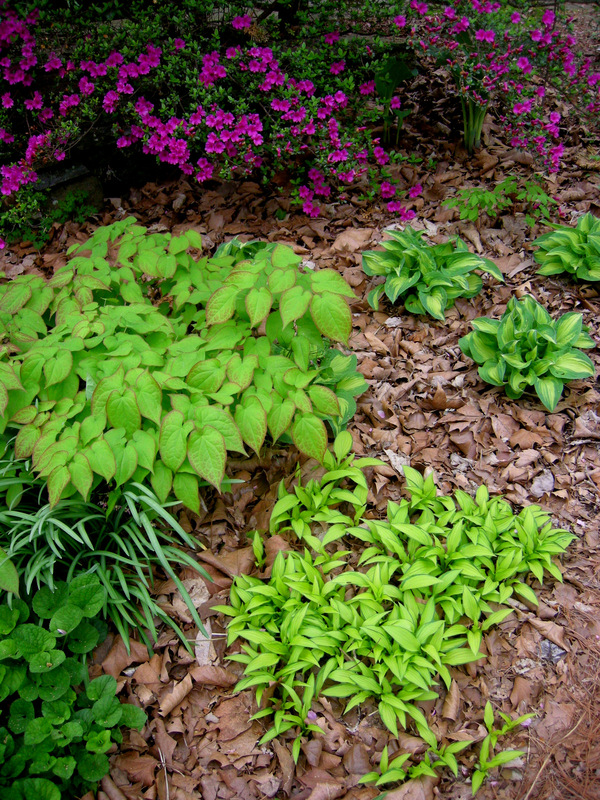 I rediscovered hostas in stage three when I got beyond flowers and realized how important foliage is to the garden, especially the shade garden. 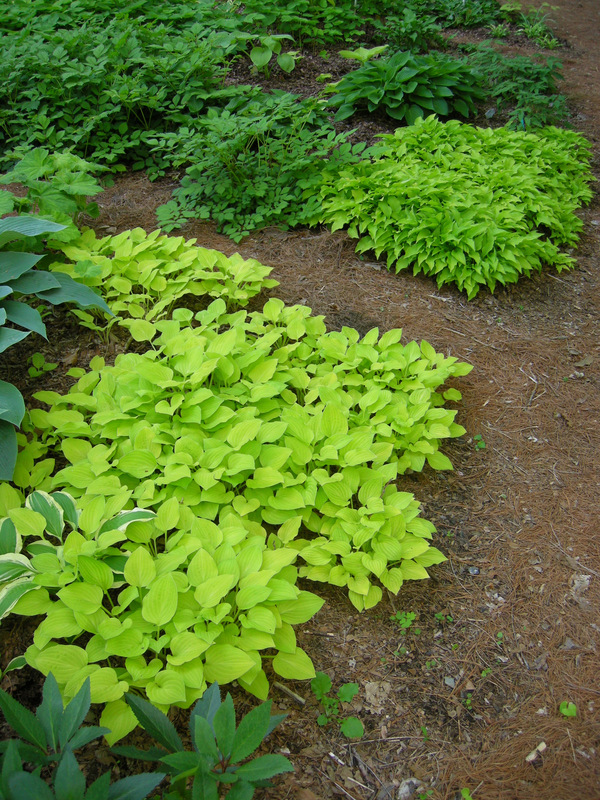 I learned that hostas did not come in just the five basic varieties but in an infinite number of combinations of colors, heights, widths, leaf shapes, flowers, and habits. Somewhere I read that there are 6,000 hosta cultivars. I wanted them all so I began to collect hostas. 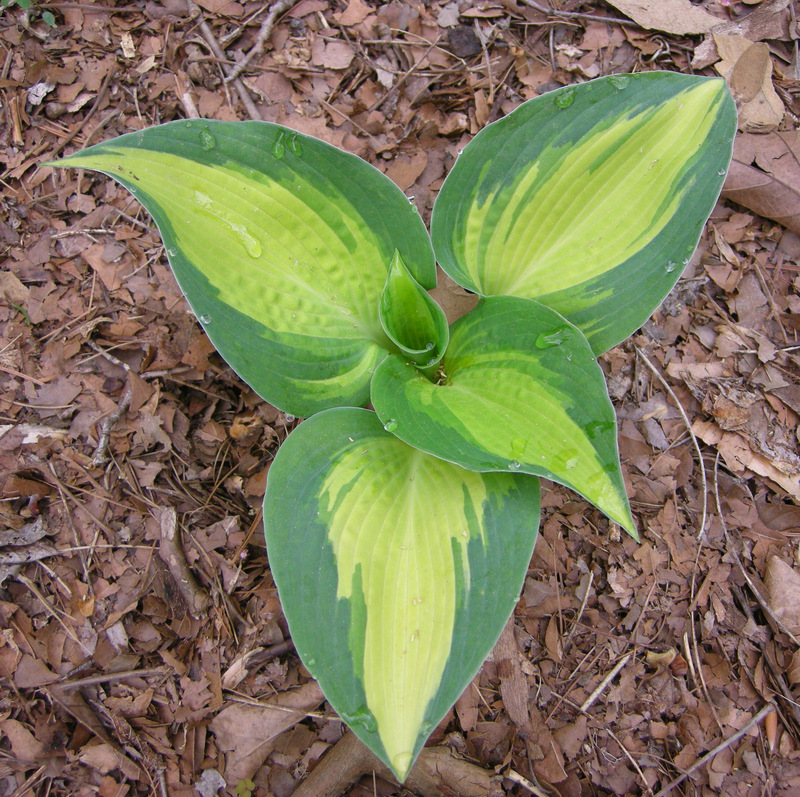 ‘Blue Mouse Ears’ is the miniature hosta that started the mouse ears family. Not only is it shaped like a mouse ear, but it feels like one too (all in my imagination because I have never felt a mouse ear). 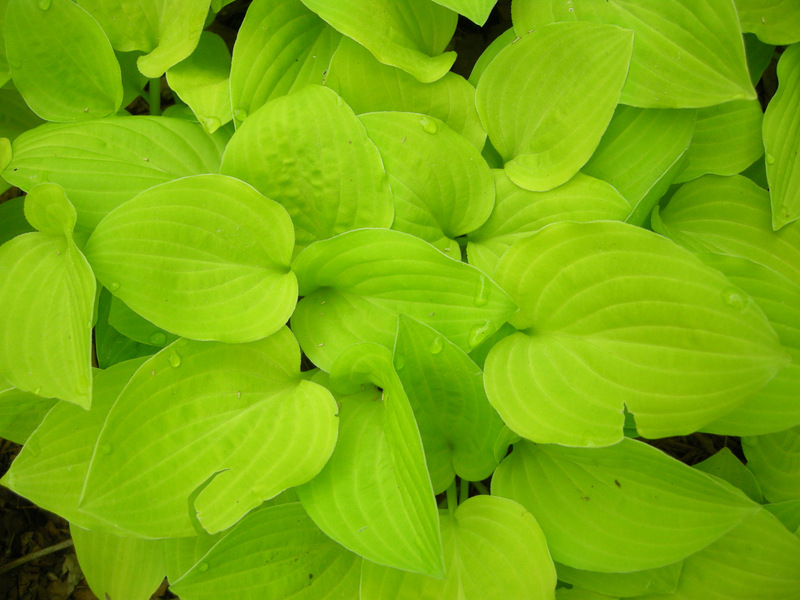 It was designated the 2008 Hosta of the Year by the American Hosta Growers Association–a very high honor. I entered stage four about the time that my hosta acquisitions topped 100 cultivars. This is just a modest assemblage because you really aren’t considered a hosta collector until you have over 500 varieties in your garden. But I was running out of room. Besides I am not a true collector of any group of plants because I am not satisfied with one of any perennial in my garden. I need at least five, but preferably seven, of any plant to make an impact. 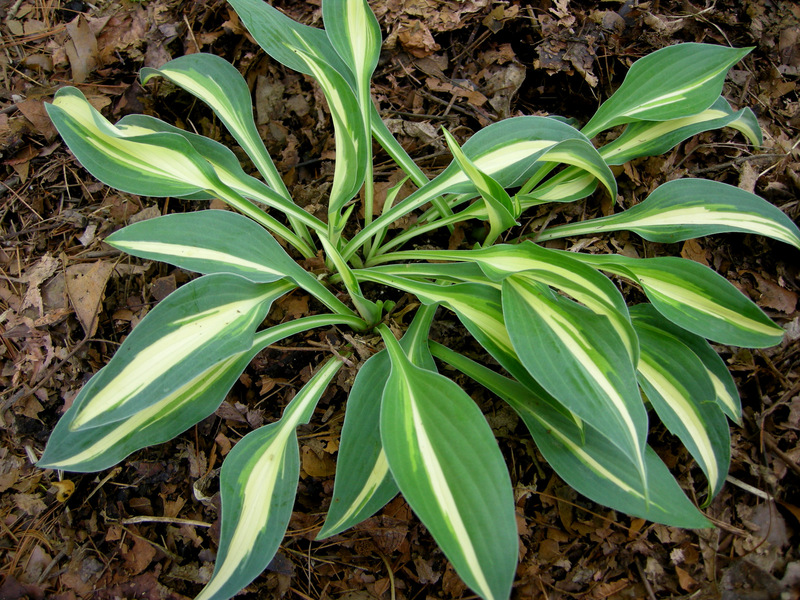 Many hostas are quite large, and five ‘Blue Angel’, ‘Sum and Substance’, or ‘Sagae’, which are favorites of mine, with six foot wide clumps and 15″ leaves, take up a lot of room. Were my collecting days over? Clockwise from upper left: small ‘Blonde Elf’ and miniatures ‘Little Wonder’, ‘Rock Princess’, and a hosta sold to me as ‘Little Blue’. That’s when I discovered miniature hostas. 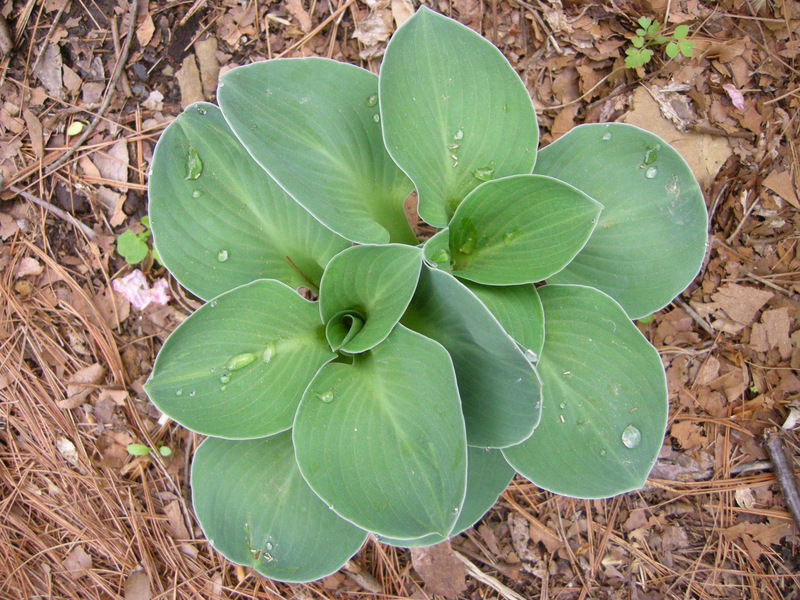 The American Hosta Society defines miniature hostas as having a leaf no larger than 4 sq. in. The discovery of miniature hostas allowed me to indulge my passion for collecting hostas, which only got worse in stage four, without taking up all the space in my garden. And they are so incredibly cute and have such adorable names: ‘Holy Mouse Ears’, ‘Pixie Vamp’, ‘Blonde Elf’, ‘Mighty Mouse’, ‘Alakazaam’, ‘Cookie Crumbs’, ‘Rock Princess’. How can you resist? ‘Mighty Mouse’ is one of the newer members of the mouse ears family. I remain firmly mired in stage four and don’t know what comes after it, maybe Hostas Anonymous. But in the meantime, I want to show you some of my favorite miniatures (see photos above and below) and suggest some ideas for displaying miniature and small hostas. ‘Little Treasure’ is new to me this year and has a unique leaf shape and blue-green color. I have shown this photo of ‘Crumb Cake’ before, but it demonstrates how a single unusual plant in a container can be so pleasing. 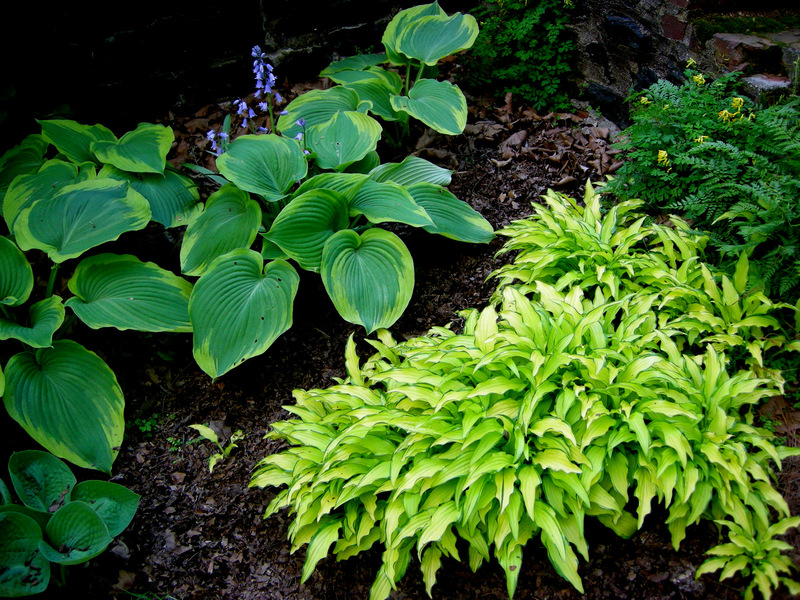 ‘Crumb Cake’ and all the other hostas pictured in containers in this post also do well in the ground–a requirement for inclusion at Carolyn’s Shade Gardens. 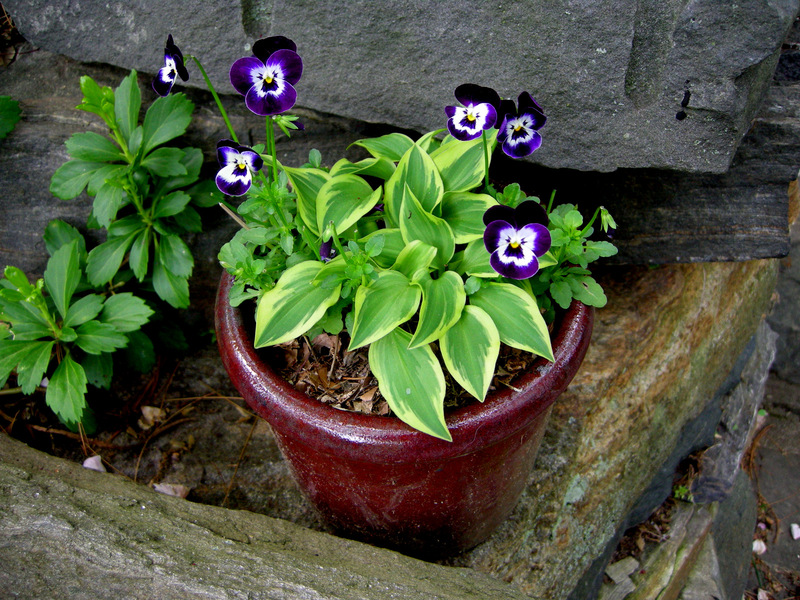 ‘Pixie Vamp’: This miniature has elegant mahogany-colored flower scapes that match this container. I leave all these pots outside all winter. 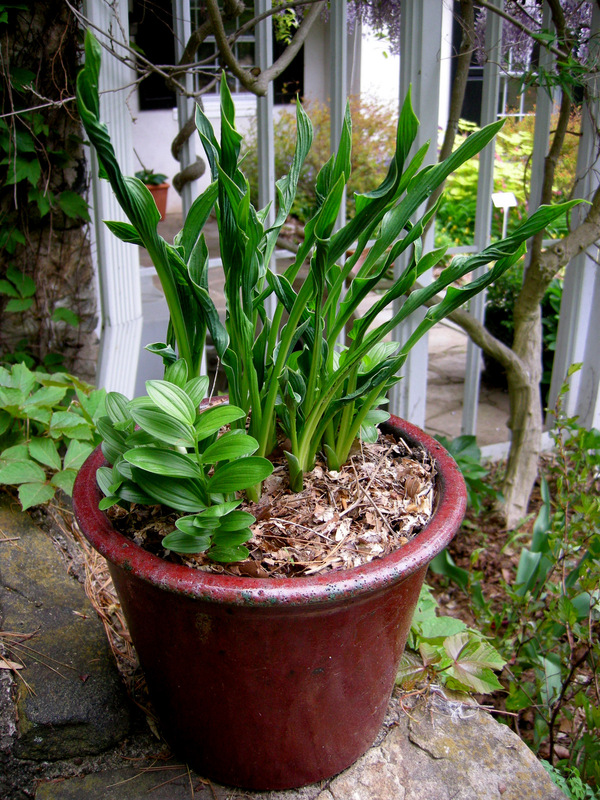 Hostas overwinter fine as long as their containers can be left outside without cracking. I think ‘Praying Hands’, the 2011 Hosta of the Year, looks best in a container. It reminds me of pitcher plants without the hassle of creating a bog. Pictured here with dwarf Solomon’s seal, Polygonatum humile, another plant that thrives over the winter in containers. 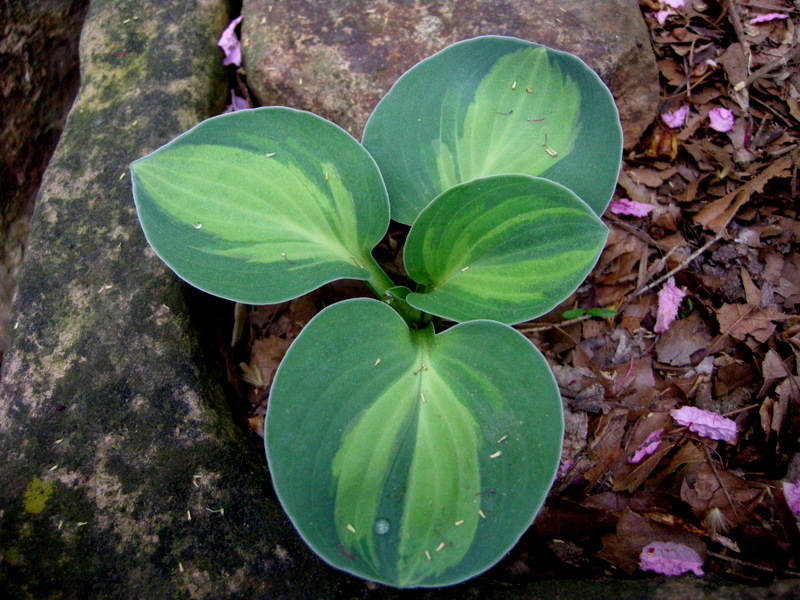 “Carolyn’s Malex Two” is another hosta I selected that grows so slowly in the ground that I have never sold it. Its position in the top of my antique strawberry pot highlights its delicate coloring and allows it to multiply faster than it would in the ground. 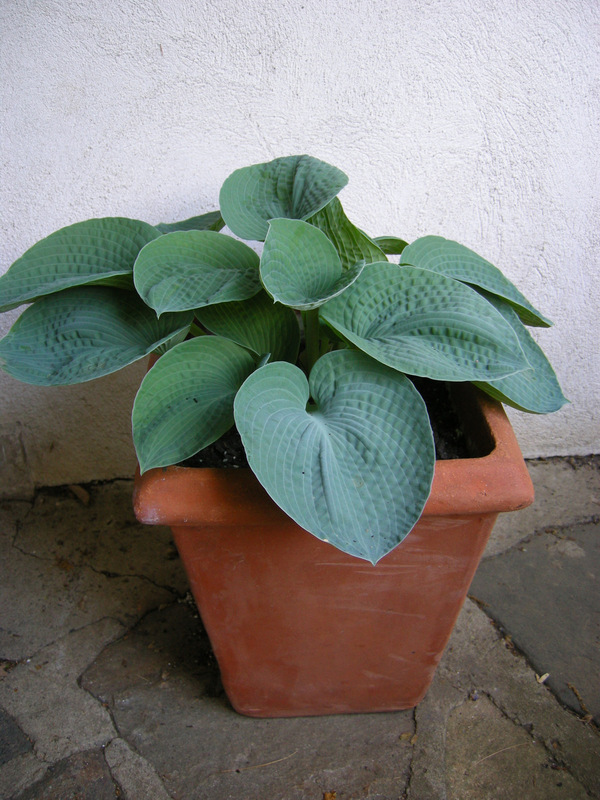 The straight species Hosta tokudama has the bluest leaves of any hosta and lives in this terra cotta container on my porch. 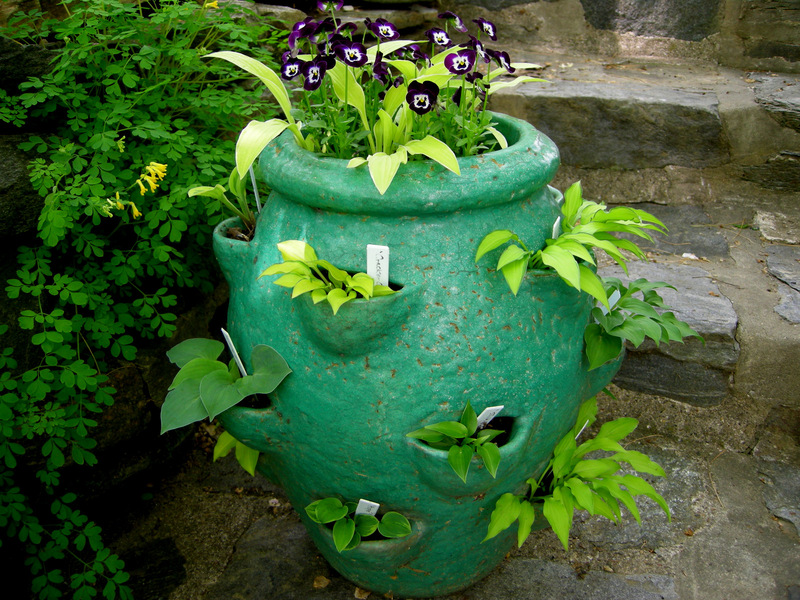 You don’t necessarily have to buy containers for your hostas. 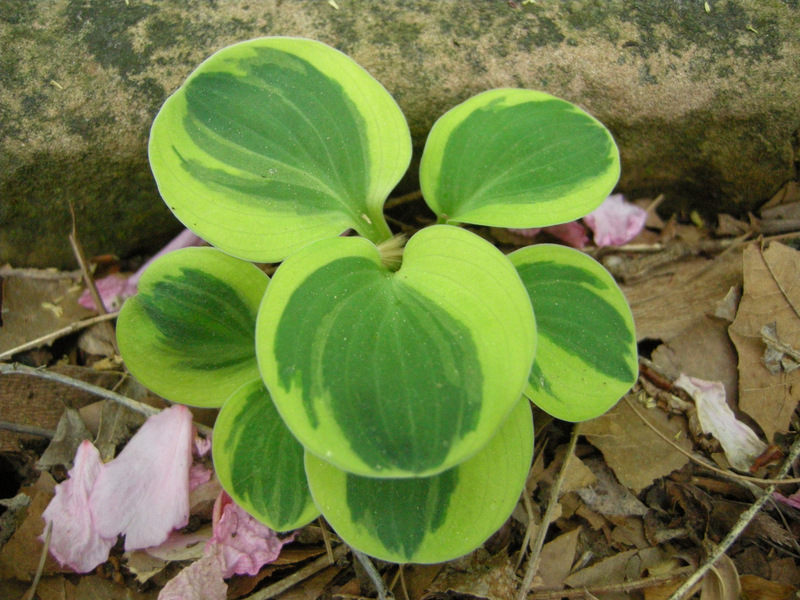 ‘Hanky Panky’, a very unusually colored small hosta, has grown for years in my old dogwood stump. ‘Alakazaam’ has found a home in the chiseled out knot hole of a weathered sycamore branch. My youngest son crafted this “container” for me for Mother’s Day. This dish, which I leave out all winter even though it is terra cotta (don’t do this at home! 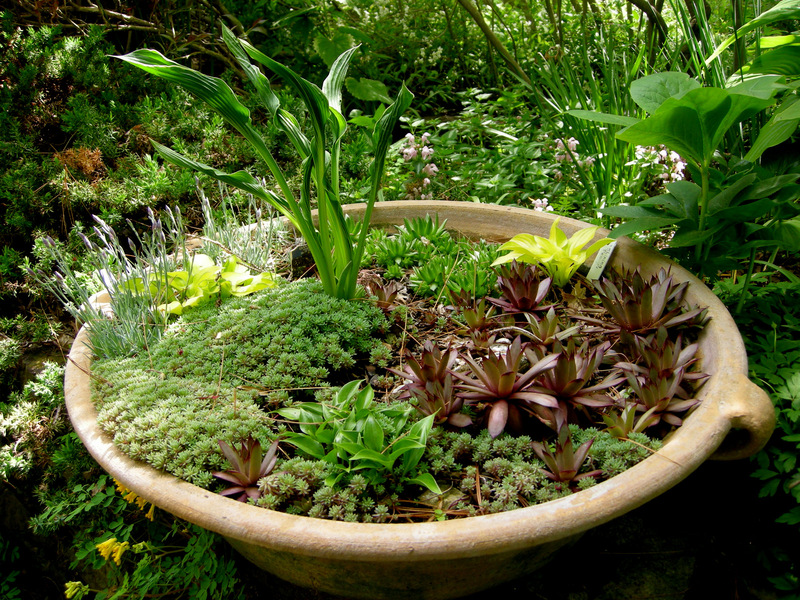 ), contains the miniatures (clockwise from upper left) ‘Cracker Crumbs’, ‘Shiny Penny’, and ‘Shining Tot’ with ‘Praying Hands’, sedum, hens and chicks, rosularia, and miniature dianthus. My antique strawberry pot has 16 pockets with a different miniature hosta in each one. Pictured are (top row left to right) ‘Cameo’, ‘Cracker Crumbs’, and ‘Twist of Lime’, (middle row) ‘Little Blue’, ‘Shining Tot’, and ‘Porter’, and (bottom row) ‘Shiny Penny’, ‘Hope, and “Carolyn’s Tiny Gold”. My husband gave me this antique trough for our anniversary. It is a perfect setting for my mouse ears collection. Pictured are (front left to right) ‘Holy Mouse Ears’ and ‘Mouse Trap’, (center) ‘Blue Mouse Ears’, and (back) ‘Green Mouse Ears’, ‘Mighty Mouse’, and ‘Frosted Mouse Ears’, all with dwarf Solomon’s seal. 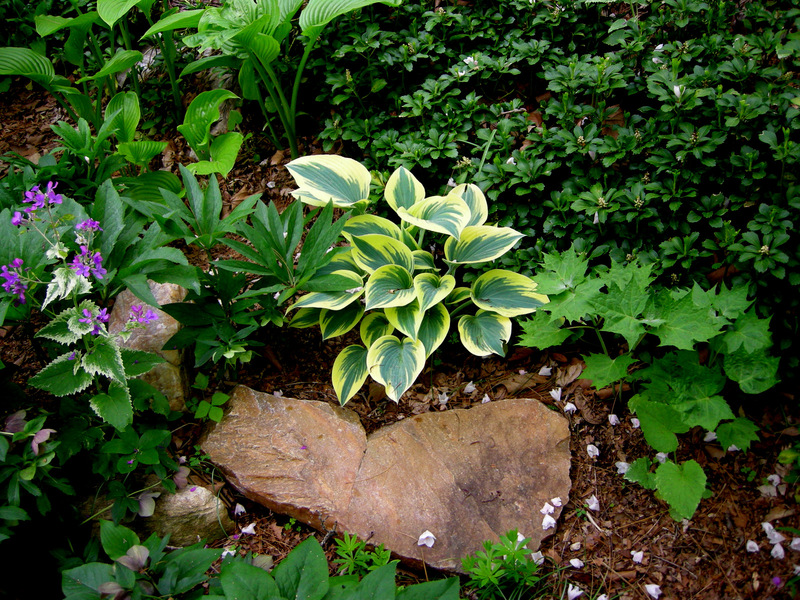 The 2010 Hosta of the Year ‘First Frost’ in my rock garden with (left to right) variegated money plant (Lunaria annua ‘Alba Variegata’), Helleborus cyclophyllus, and yellow wax-bells (Kirengoshoma palmata). ‘Little Aurora’ (upper left) and ‘Cookie Crumbs’ (lower right) in my rock garden with (left to right) ‘Red Lady’ hellebores (Helleborus x hybridus ‘Red Lady’), pink violets (Viola species), and spring-blooming hardy cyclamen (Cyclamen coum). 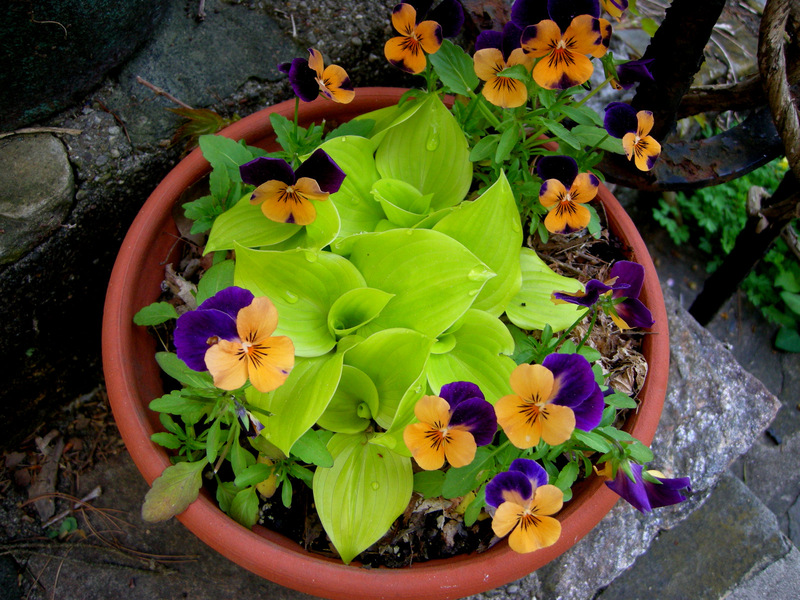 ‘Kabitan’ (lower right) massed with (left to right) ‘Abiqua Drinking Gourd’, 2009 Hosta of the Year ‘Earth Angel’, Spanish bluebells (Scilla campanulata ‘Excelsior’), yellow corydalis (Corydalis lutea), and fern-leafed corydalis (Corydalis cheilanthifolia). 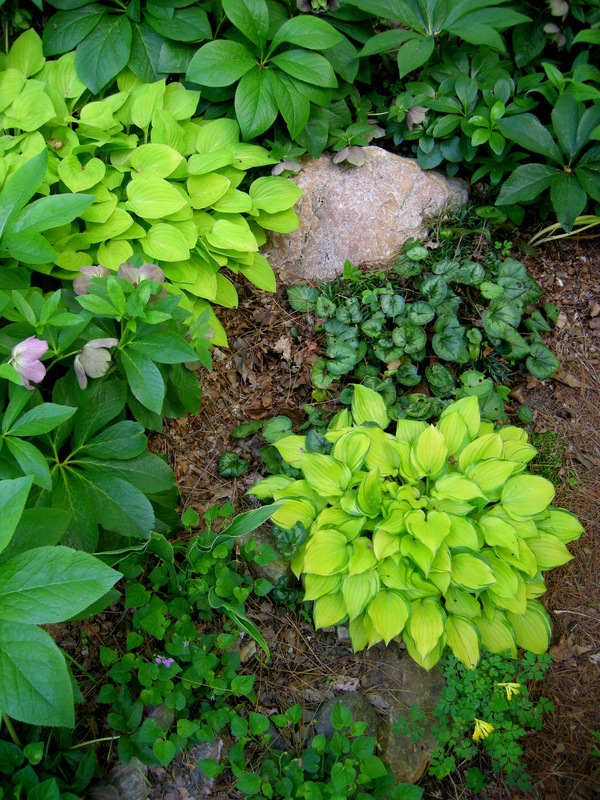 “Carolyn’s Gold” (lower left) and ‘Lemon Lime’ (upper right) used as groundcover. 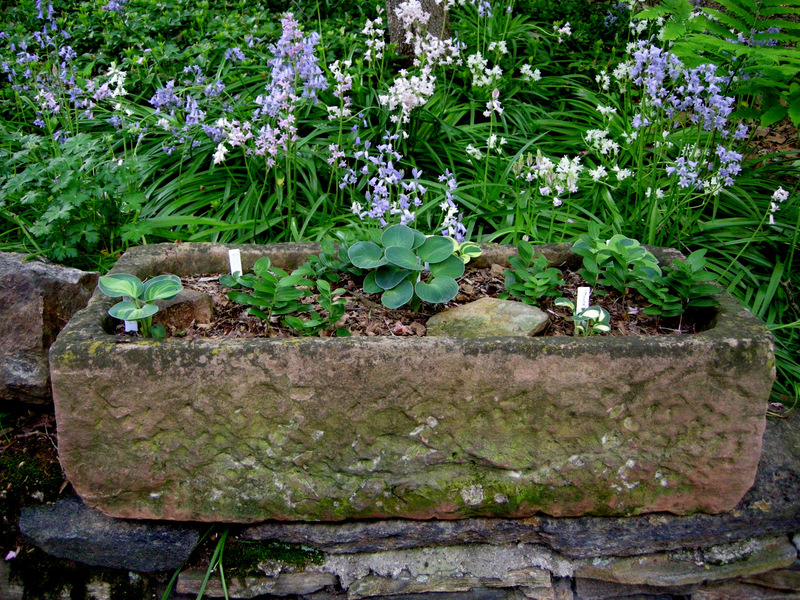 ‘Twist of Lime’ (lower right) massed with (left to right) sweet violet (Viola odorata), red epimedium (Epimedium x rubrum), and ‘Fantasy Island’. 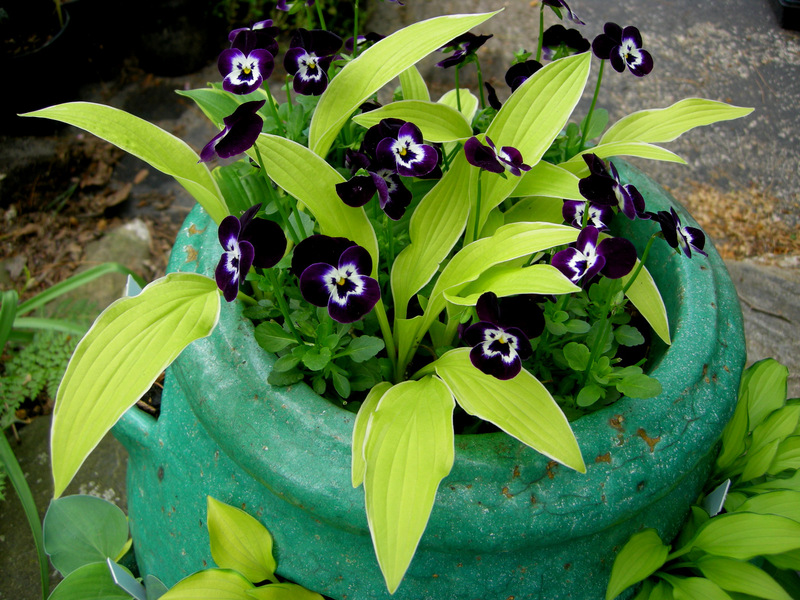 I hope I have given you some good ideas for using miniature and small hostas in your garden. I would be very interested to hear in a comment/reply which miniatures you like and how you use them.